James, R.D.. "Bluebird". The Canadian Encyclopedia, 03 June 2017, Historica Canada. 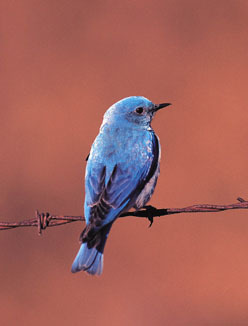 https://www.thecanadianencyclopedia.ca/en/article/bluebird. Accessed 24 April 2019. 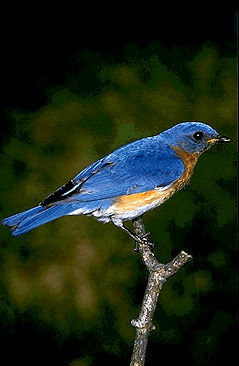 Bluebird is a common name for 3 species of thrushes occurring in North and Central America. Eastern bluebird (Corel Professional Photos). Mountain bluebirds (S. currucoides) breed in parts of western Canada (photo by Brian M. Wolitski). Bluebird is a common name for 3 species of thrushes occurring in North and Central America. Bluebird males have bright blue heads, backs, wings and tails. Females, although similar in size, are much greyer overall, but have blue wings and tails. 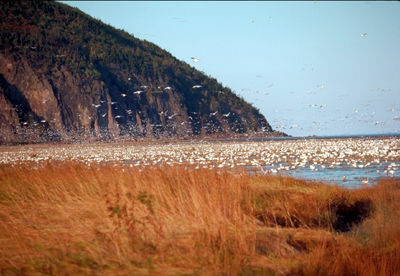 Bluebirds breed in open country. 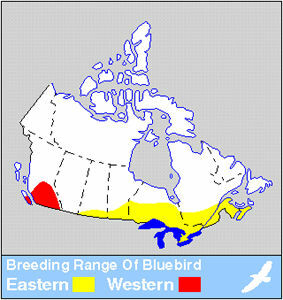 The Eastern bluebird (Sialia sialis) breeds across southeastern Canada from Saskatchewan to Nova Scotia. 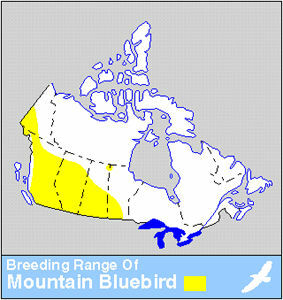 Western and mountain bluebirds (S. mexicana and S. currucoides, respectively) breed in parts of western Canada. 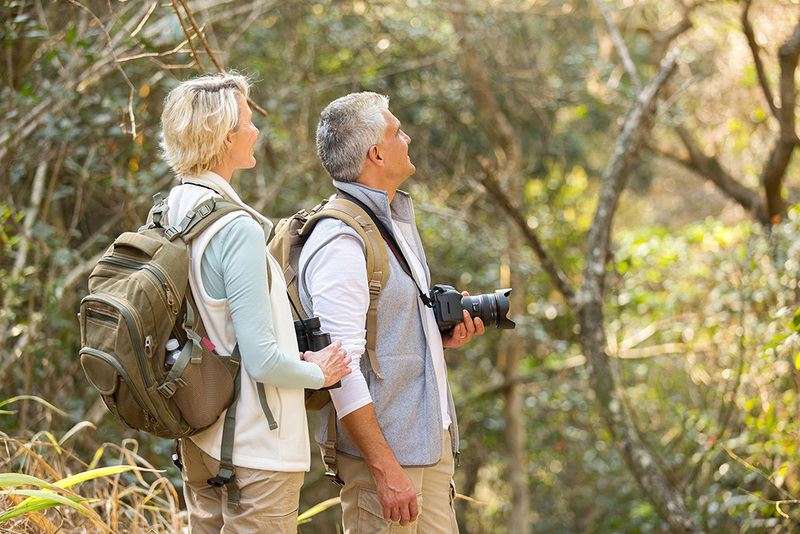 Bluebirds nest in natural and woodpecker cavities or birdhouses, usually at shrub level. They lay 4-5 pale blue eggs, which are incubated about 14 days. 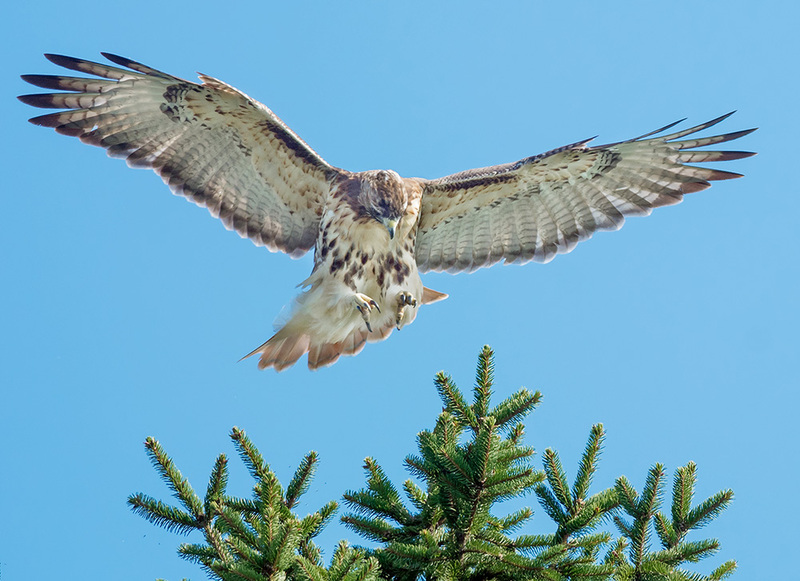 Long trails of nest boxes have been established for them, especially in the Prairie provinces. Primarily insectivorous, bluebirds do eat some small fruits particularly in late summer and fall.